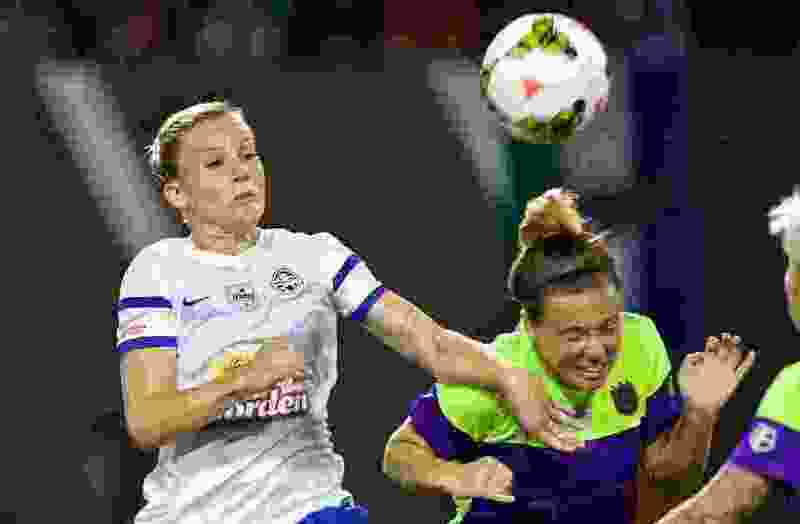 Amy Rodriguez’ return to FC Kansas City last season culminated in a 48th-minute goal against the Boston Breakers in the season opener. She tore her ACL minutes later. “Ever since I tore my ACL last season the only thought of my mind is and has been just trying to come back and get on the field again,” Rodriguez said. Rodriguez, 30, is set to make her second comeback in as many years, this time with Utah Royals FC. The team has received a commitment from the striker for the 2018 season, the Royals announced Tuesday. Rodriguez said she wanted to make it clear, however, that there was never a doubt in her mind that she’d play for Utah. Nine months post-op, Rodriguez’s next step is to begin non-contact soccer training, she told The Salt Lake Tribune. Rodriguez missed the 2016 season for the birth of her second child and all but the season opener in 2017. Before that game, the last league match she had played in was the 2015 NWSL Championship. She scored the winning goal to claim the title in a 2-1 victory over Laura Harvey and the Seattle Reign. The same two teams played in the championship the year before, and Rodriguez scored both of FC Kansas City’s goals to earn the trophy. Rodriguez, a longtime U.S. women’s national team player, has earned 130 caps and scored 30 goals on the international stage. She started in the 2011 and 2015 FIFA Women’s World Cups. The two-time gold medalist was a regular starter in the Beijing and London Olympics. En route to qualifying for the 2012 Games, Rodriguez scored five goals (all in the second half) against the Dominican Republic to tie the individual USWNT record and set a new CONCACAF World Cup Qualifying Tournament record. Rodriguez has officially renewed her commitment to return to soccer almost 10 months since her ACL injury.